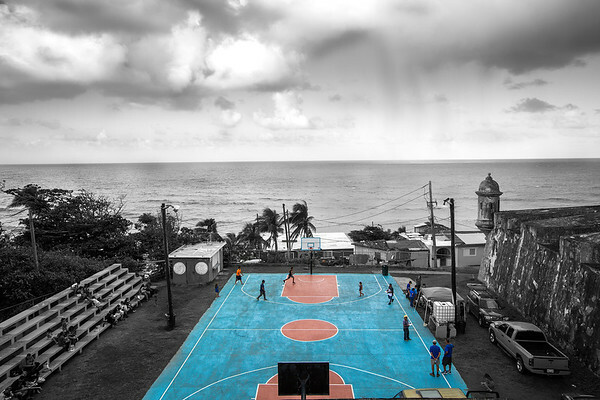 A shot capturing life in the La Perla section of San Juan, Puerto Rico. Instantly felt something while walking around the area when i glimpsed at the contrast of vibrant colors, community, storms over the sea, and the fort. Felt it was best exemplified with this color isolation edit.